Czarface & MF DOOM Flood The Mainframe On "Meddle With Metal - 7L's Nytyme Mix"
Home>New Songs>Czarface Songs> Czarface & MF DOOM Flood The Mainframe On "Meddle With Metal - 7L's Nytyme Mix"
"Don't take it personal, you know the biz." 7L gave it up to the players in the closet. 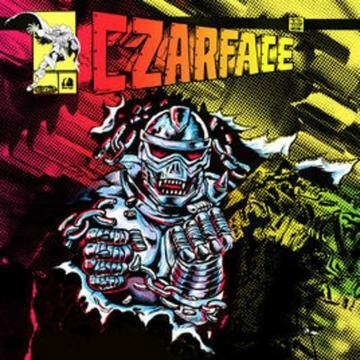 Inspectah Deck and MF DOOM are back with their bibs, but only to reprise their verses on CZARFACE Meets Metal Face. 7L gives lead single "Meddle With Metal" the nocturnal overturn. DOOM, Deck and Esoteric are cut from a generation of boys that looked up to wrestling figures and comic villains, helping us in the very least develop a keener sense for mischief. "Meddle With Metal - 7l's Nytyme Mix," on its own merit is the only song on the Man's Worst Enemy EP that features a vocal arrangement. It's safe to say, the project teaser is every bit a showcase for producer 7L. Man's Worst Enemy is also unmistakably, exposition for the dual universe CZARFACE and MF DOOM have willed into existence. DOOM is especially keen on disrupting the flow of "emotional politics." SONGS Czarface & MF DOOM Flood The Mainframe On "Meddle With Metal - 7L's Nytyme Mix"